DON’T READ REVIEW UNLESS YOU’VE READ THE FIRST 2 BOOKS IN THE SERIES. If I’m going to talk about good teen fiction the Harry Potter series by J.K. Rowling must be mentioned. If you haven’t read all seven books, read them! They are amazing! When the first Harry Potter movie came out I tried to read the book before I saw the movie. I wasn’t that into it and didn’t finish the book. After I saw the 2nd movie I decided to try to read the books again. 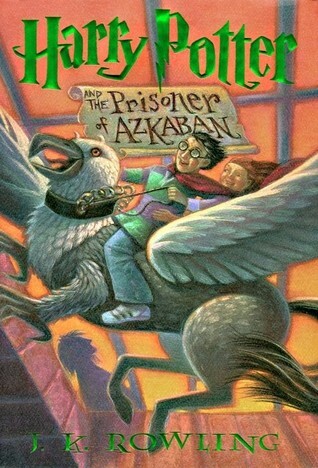 I picked up at the third book, and I LOVED Harry Potter and the Prisoner of Azkaban. I was hooked! J.K. Rowling is an amazing author! She weaves a fantastical world that readers want to visit. There’s nothing more I can say. I don't know which Harry Potter book is my favorite. It's a toss up between Order of the Phoenix (#5) and Half-Blood Prince (#6). I liked Book 7, but I missed Hogwarts, so it's not my top pick. And I didn't start reading them until after I saw the first movie. I just didn't want to join the club. But I'm glad I did!